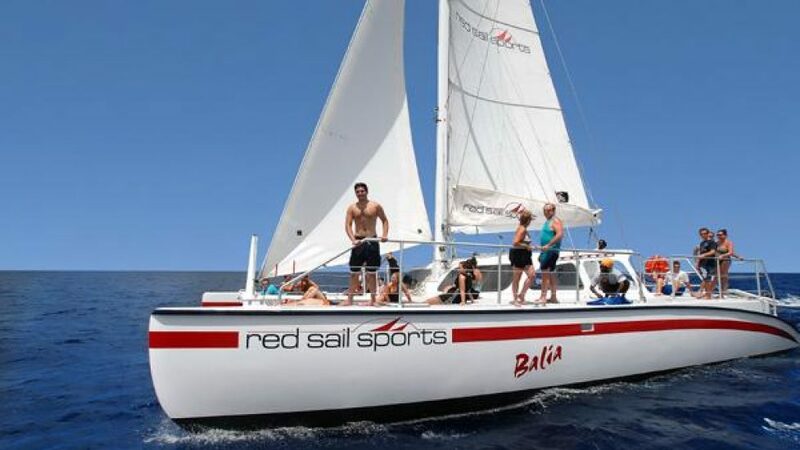 Red Sail Sports Aruba - Caribbean & Co. If you are looking for a diving and watersport school in the Caribbean that has been around for a lengthy amount of time, the Red Sail Sports Aruba club is the one to look out for. The club was first set up back in 1989 in the Hyatt Regency Resort and they have been enjoying success and fun ever since. The club offers a wide range of water-based activities and the popularity of these activities continues to reach upwards. You will find activities such as sailing, scuba diving, snorkeling and plenty of other activities to keep you entertained and occupied. While the organization offers a number of land-based adventures, they are regarded as experts in the area of watersports. So much so that they have expanded their locations across the Caribbean and are now found in 9 different areas. There are three fully serviceable diving centers with locations at the Aruba Marriott and the Renaissance Aruba Beach Resort. One of the best things about diving with Red Sail Sports Aruba is the fact that they host a number of top quality boats. They have a 28’ Pasa Bon boat which is able to accommodate 24 divers, and this is the same number of divers that the Biba Bon can accommodate, as can the Vista Mar. However, the largest boat in the fleet of ships owned by the firm is the Rumba and this can accommodate up to 100 passengers and divers. This is a tremendous amount of people and it should come as no surprise to learn that this is a custom built boat that comes in at a rather hefty price. Other boats on offer include a 62’ feet boat which can host 80 passengers, a 58’ boat which can host 55 passengers and the 53’ Goza boat which is able to seat 44 passengers. This is a group of catamarans which are of the highest standard and quality. These catamarans can be hired out for private functions while the club is keen to offer dinner cruises, sunset sails and there is even the opportunity to snorkel off the side of the boat. If you are looking for further recommendations about the Red Sail Sports Aruba all you need to look at is the amount of awards they have won. The organisation has picked the Aruban Tourism Scholarship Award on 4 occasions and they have also been hailed as the outstanding watersports organisation in the region. The firm has also won the coveted Best tour of the Season award so you know you are receiving a trip, guide or tour of the highest standard.